Do you have what it takes to be a consumer satellite Installation Technician? If you want to explore a career as an Installation Technician, scroll down for some great resources. An Installation Technician will be responsible for providing customers excellent service through installing, troubleshooting, maintaining, and upgrading satellite TV/ Internet systems and equipment. Complete a company approved training and certification program along with continuing education. An essential duty of the position of technician is to install satellite dishes with the use of a ladder on customers' homes. The ladders used have been rated by the American National Standards Institute (ASNI) to hold a maximum total weight (including tool belt and equipment) of 300 lbs. To allow for the weight of equipment an individual weight cannot exceed 250 lbs. 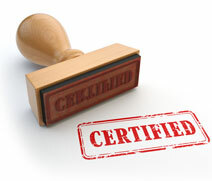 Visit SBCA's Certification pages to view all the available certifications for the consumer satellite industry. Every Installation Technician should have the SBCA Satellite Fundamentals certification. Depending on what types of systems an Installation Technician will be operating, there are many levels and opportunities to further one's education and training in the consumer satellite industry. Consider learning more about Commercial Installations, Home Theater and Home Networking.